Hosting a major one-off cultural event has become a key aspiration of cities attempting to renew or change their local economic base and position themselves as world, international or national cultural centres. This paper discusses evidence gathered in a wide diversity of cities across Europe throughout the last three decades, which is the period seeing the most noticeable growth in culture-led regeneration strategies to the point that they now dominate the policy debate within a majority of post-industrial cities. The focus is the European Capital of Culture programme, an EU initiative launched in 1985 and hosted by close to 60 cities in 30 European countries. One of the key claims associated with this programme is that it can transform the ‘image’ of a city and that this, in turn, can lead to widespread social (eg. boosting pride) and economic (eg. attracting tourists and investment) benefits. These image transformation claims are mainly the result of the heightened media attention that some of the host cities have been able to generate. 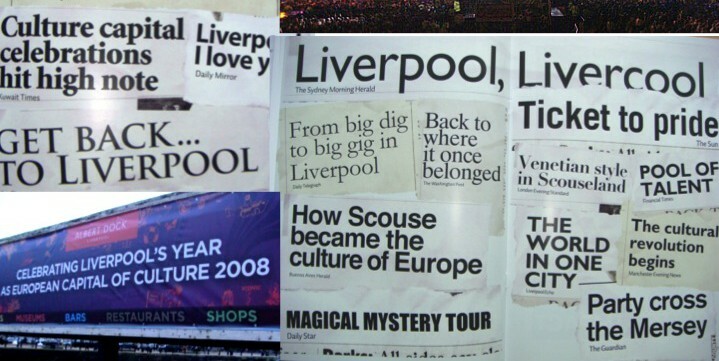 The paper offers a reflection over the media impacts of the programme at large and a closer interrogation of two of the most high profile examples, spanning from the beginning of the initiative in the mid 1980s (Glasgow 1990), to one of the most recent cases, taking place at a time when city branding and the notion of Capitals of Culture as a media event has become common place (Liverpool 2008).